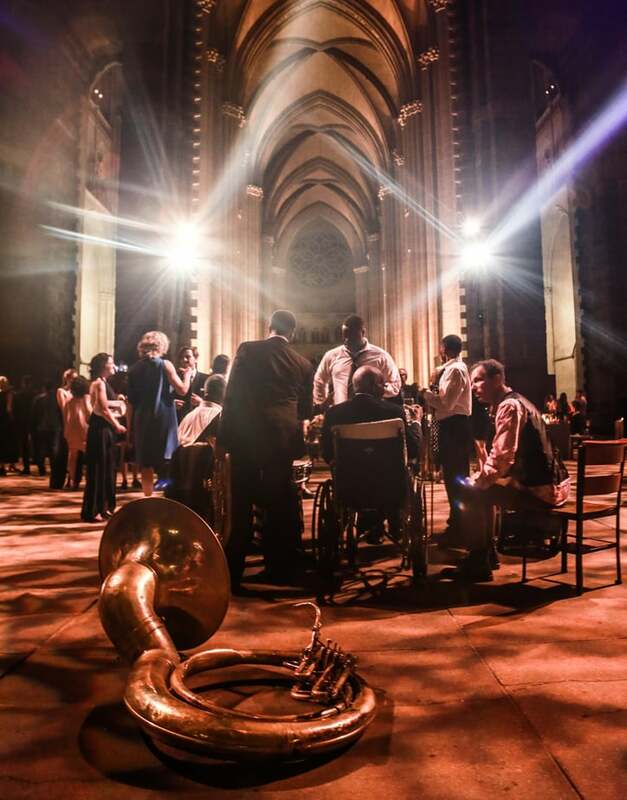 Held at St. John the Divine in Harlem, Creative Time’s 2015 Spring Gala was a celebration of contemporary Brazilian artist Vik Muniz. The dinner for seven hundred guests included a curated menu by Daniel Boulud, art installations nodding to the awe-inspiring environment and a custom fabricated candle developed closely with the honoree. The evening culminated with a lively performance by the McCoullough Sons of Thunder.